Beginning January 1, our Saturday hours will be changing to 9am-12pm. Flooring is an essential piece of any home. 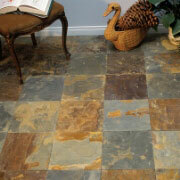 Though you may not think you notice your floors, they are a highlighted feature in your home. 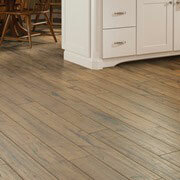 The flooring material you choose can determine the style of a room and ultimately alter its overall feeling. It is important for homeowners to realize the importance of flooring and learn about their many options. At ProSource Wholesale Showrooms, you will be able to see a large array of flooring options tailored to the needs of your clients’ homes. Carpet is thick, plush, and a great addition to any room. 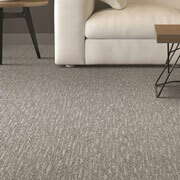 Best of all, if the room calls for a little color, carpet flooring options come in a very large range of colors. If you’re constructing a remodel for a client, being able to choose from a range of carpet options can be a huge benefit. Hardwood is a great choice if you would like to safeguard against water damage, stains, and scratches. If your clients have children or pets, a tough flooring option would benefit them in the long run. 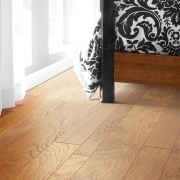 Hardwood is also a classic flooring option and coordinates well with any room aesthetic. Laminate is a great alternative to hardwood, as it is both durable and adaptable to any home. If you are looking for a place to gain access to a plethora of laminate styles and designs, ProSource Wholesale showrooms have what you need. If you are looking for a selection of different sizes, styles, and density, ProSource Wholesale has what you are looking for. At our showrooms, you will be able to see different layouts of our tile and how they aesthetically can tie a room together. 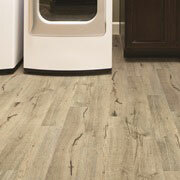 Vinyl flooring can be a great option for any home. At our showrooms, you will be able to see different styles of vinyl flooring and how they can amplify a home’s overall look. Our showroom proudly serves North Hollywood, Beverly Hills, Malibu, Calabasas, Valencia, and Pasadena, California. The ProSource of North Hollywood showroom is conveniently located in North Hollywood, California and serves all of the neighboring cities including Alhambra, Arcadia, Azusa, Baldwin Park, Burbank, Canoga Park, Chatsworth, Covina, Duarte, El Monte, Encino, Glendale, Glendora, Granada Hills, La Crescenta, La Puente, Los Angeles, Mission Hills, Monrovia, Monterey Park, Montrose, North Hills, North Hollywood, Northridge, Pacoima, Panorama City, Pasadena, Porter Ranch, Reseda, Rosemead, San Fernando, San Gabriel, San Marino, Sherman Oaks, South El Monte, South Pasadena, Studio City, Sun Valley, Sunland, Tarzana, Temple City, Tujunga, Universal City, Valley Village, Van Nuys, Verdugo City, Walnut, West Covina, West Hills, Winnetka and Woodland Hills.